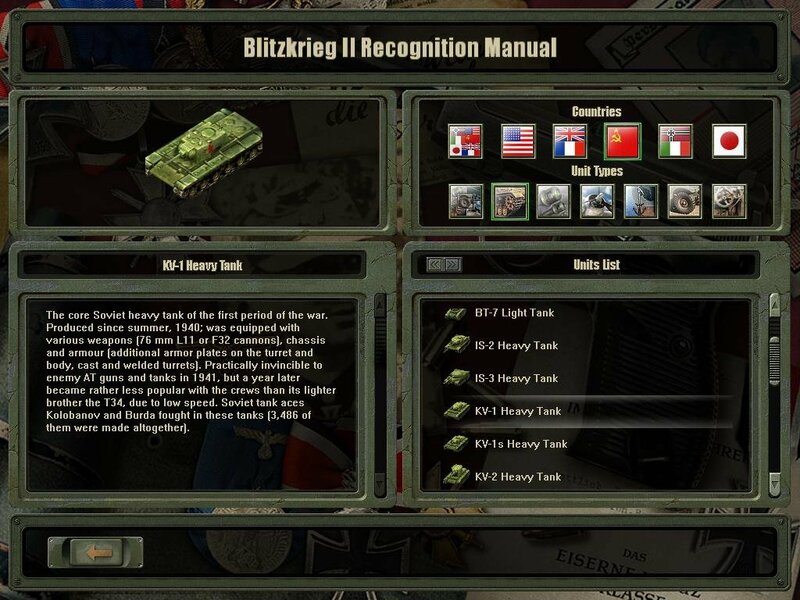 As with its predecessor, Blitzkrieg 2 features three campaigns: American, Soviet and German, covering the US push into Imperial Japan after Pearl Harbor, the German steamroll through Europe and Russia, and the Soviet defense of the motherland. 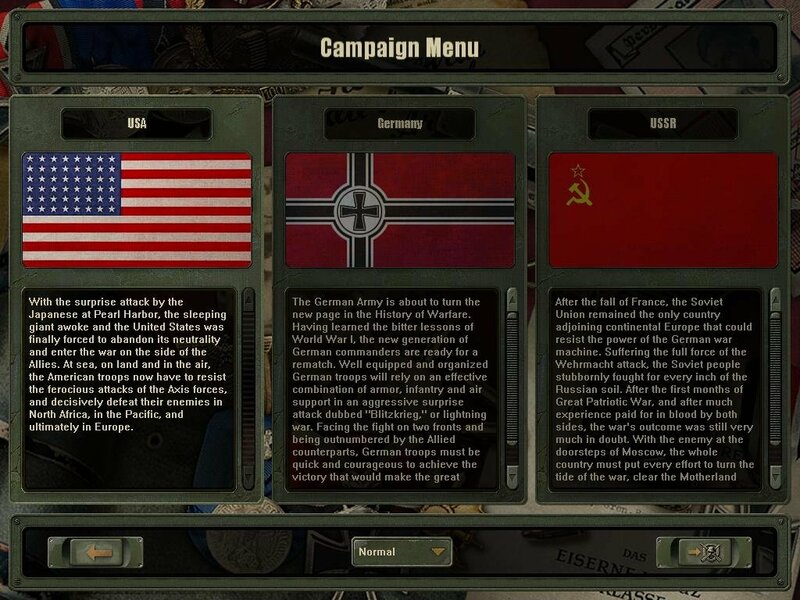 It remains one of the few games to allow you to fight on the German side, although any reference to winning the war for the Fuhrer has been tastefully left out. 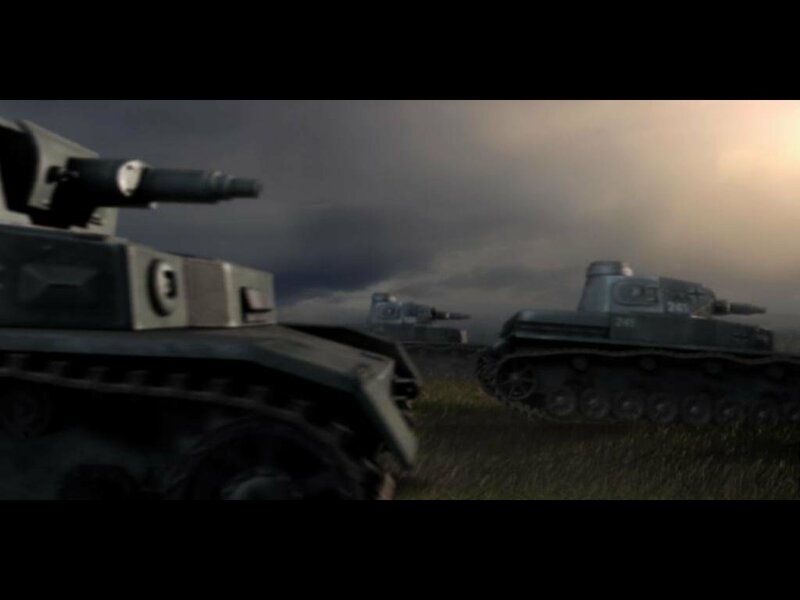 All sides feature authentic voice work and historically accurate vehicles and weaponry. 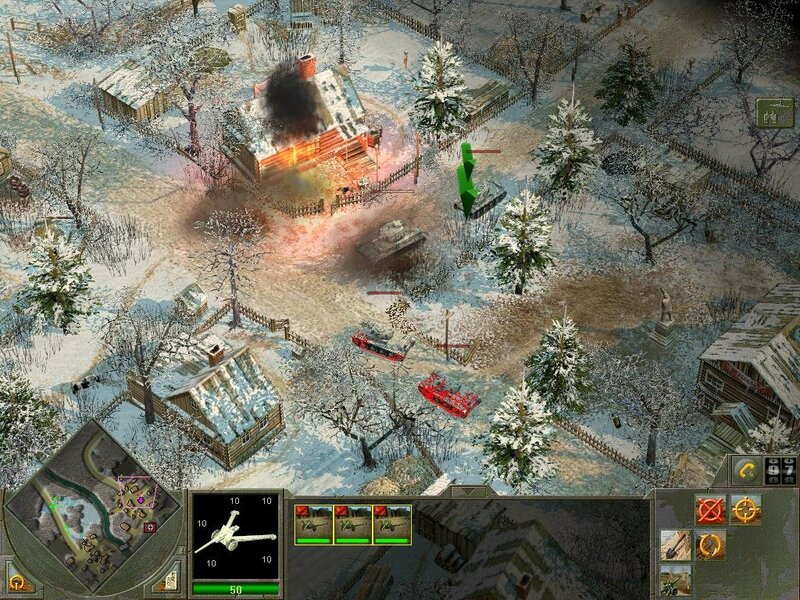 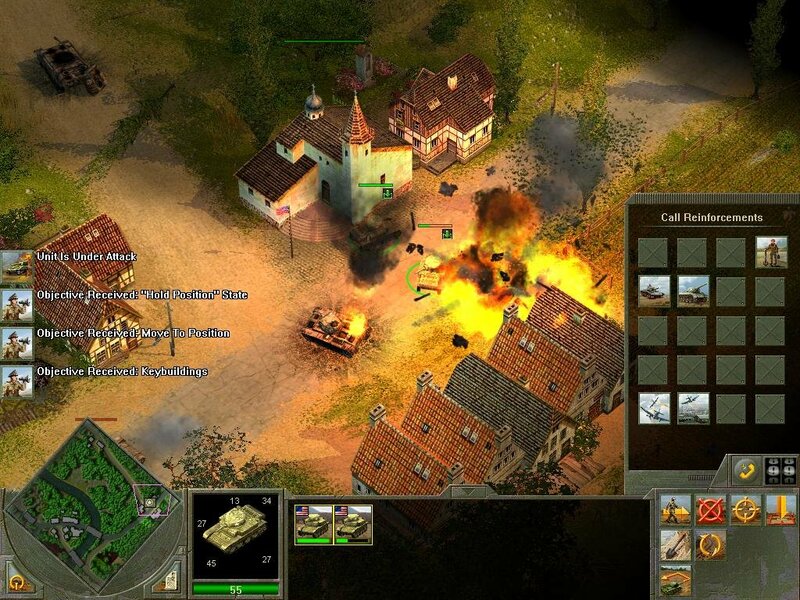 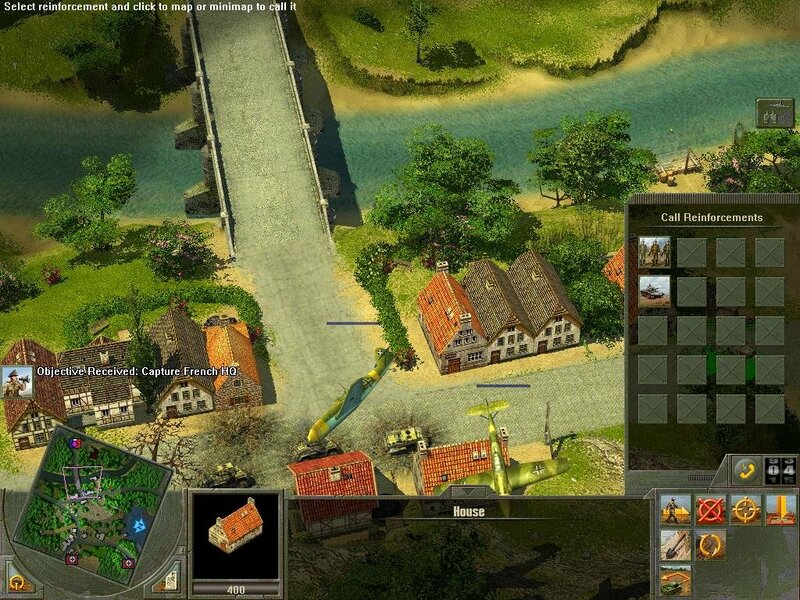 Despite the questionable addition of a 3D engine, the gameplay retains the same qualities (and drawbacks) of the first Blitzkrieg from 2003. 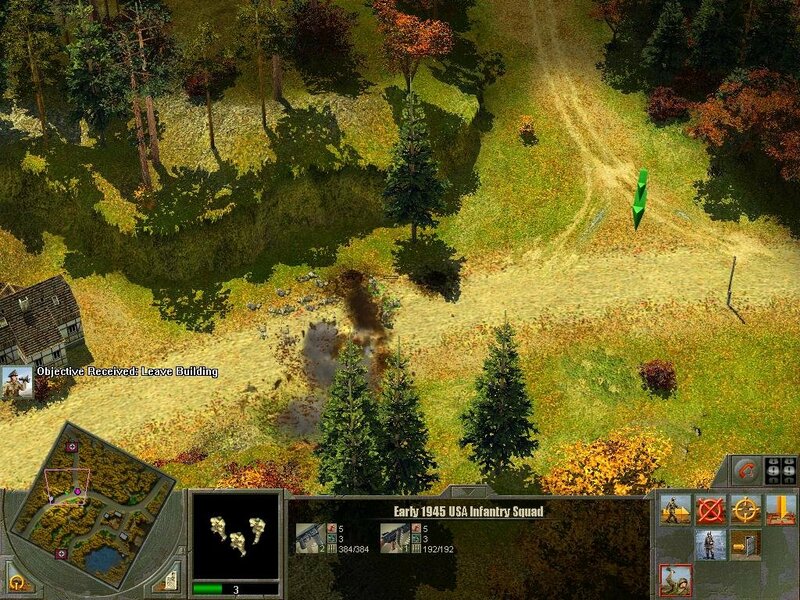 In fact it retains the same 3D models as well, which hints at the game being rushed through production. 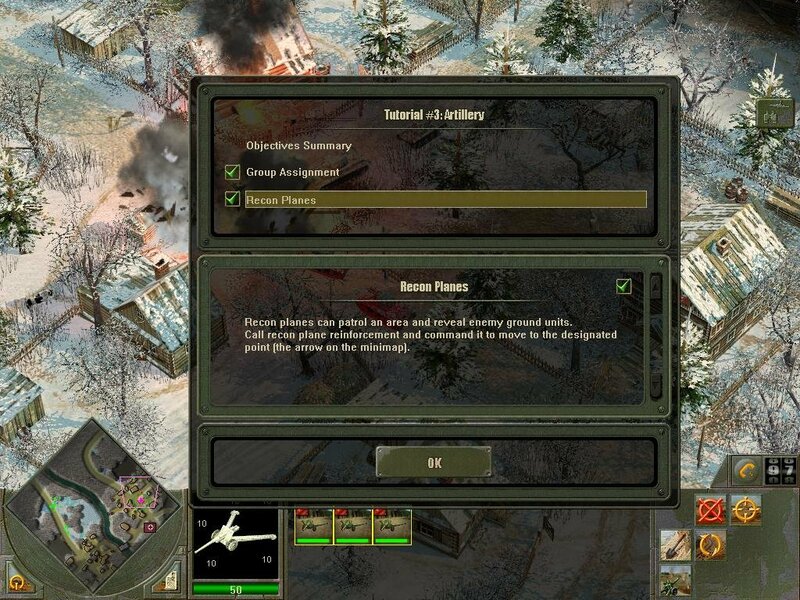 In any case, there’s no resource gathering or unit production to worry about, and your decisions will instead focus on eliminating the enemy with as few casualties as possible. 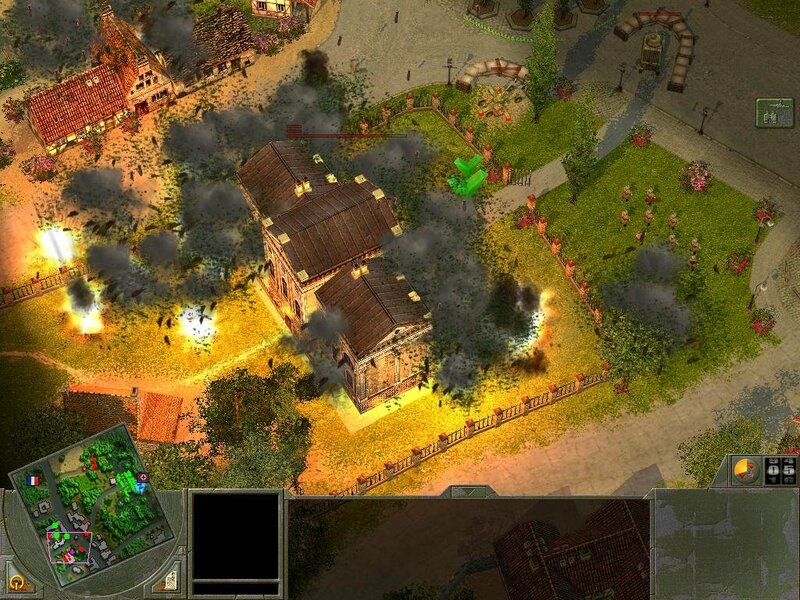 You do this by commanding your troops in typical real-time manner. 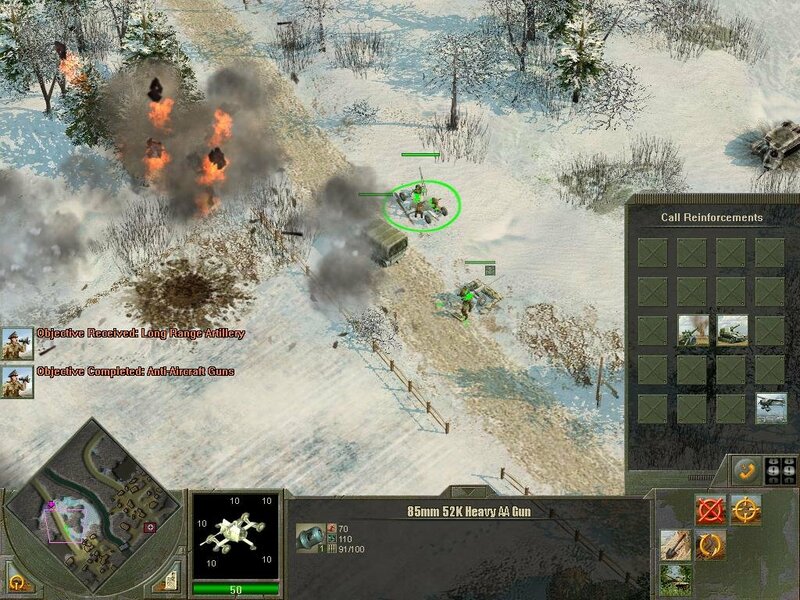 Each campaign presents a series of skirmishes that lead towards a decisive battle. 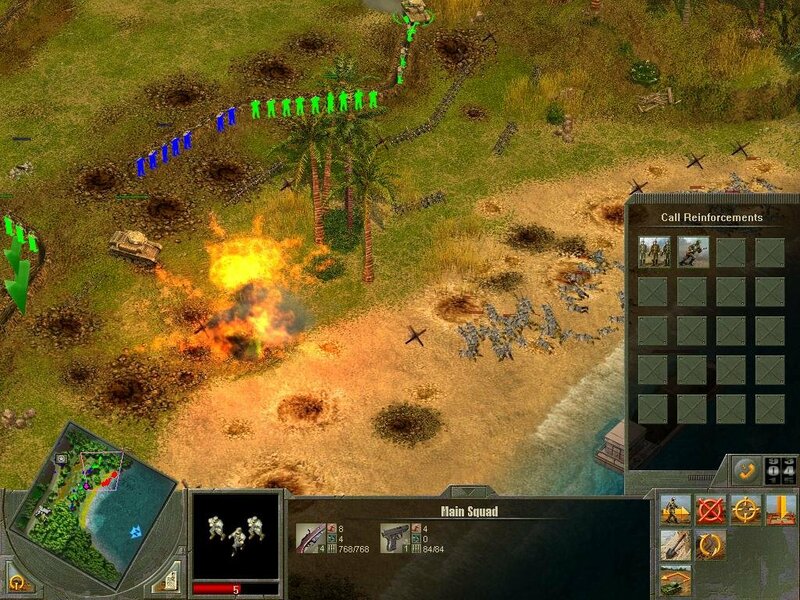 In the original you had to play these random missions to unlock better troops and upgrade your existing ones. 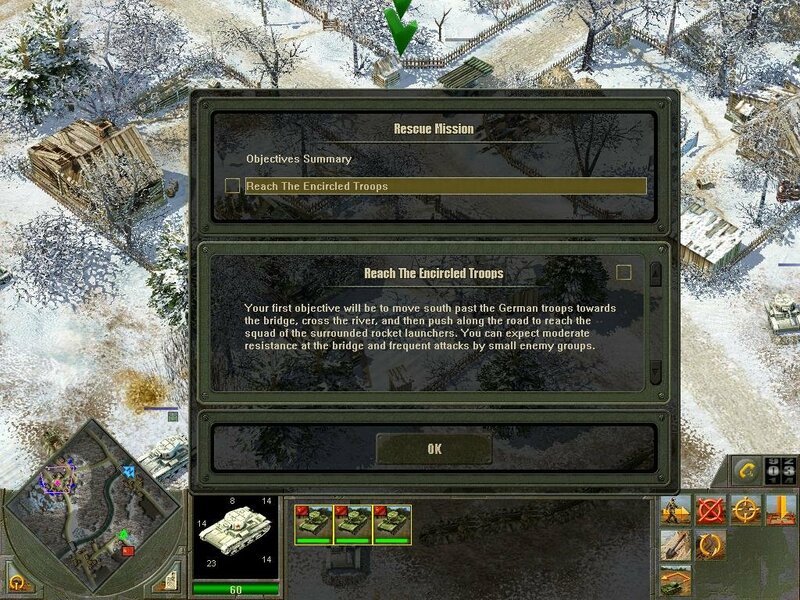 Here you can also gain ‘reinforcements’, arguably the game’s only resource, that pass along from scenario to scenario. 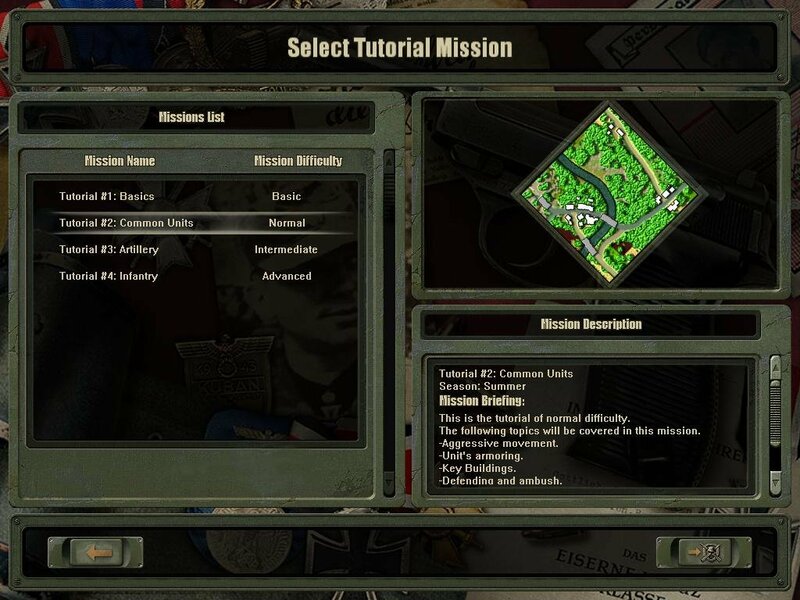 The officers under your command also gain experience, and later on you’ll gain access to officers that specialize in particular fields, such as tank combat or bombers. 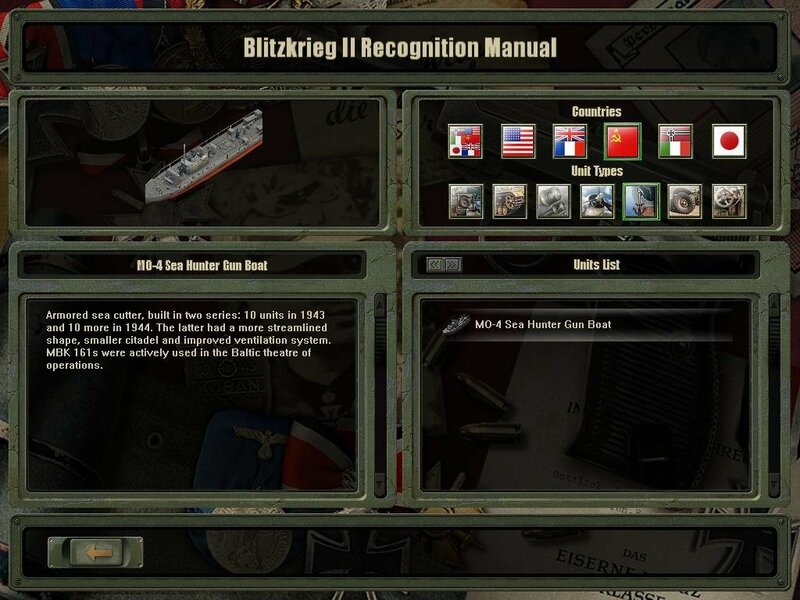 This reward system is the only notable upgrade to set Blitzkrieg 2 apart from its predecessor and the wave of similar-looking WW2 strategy games. 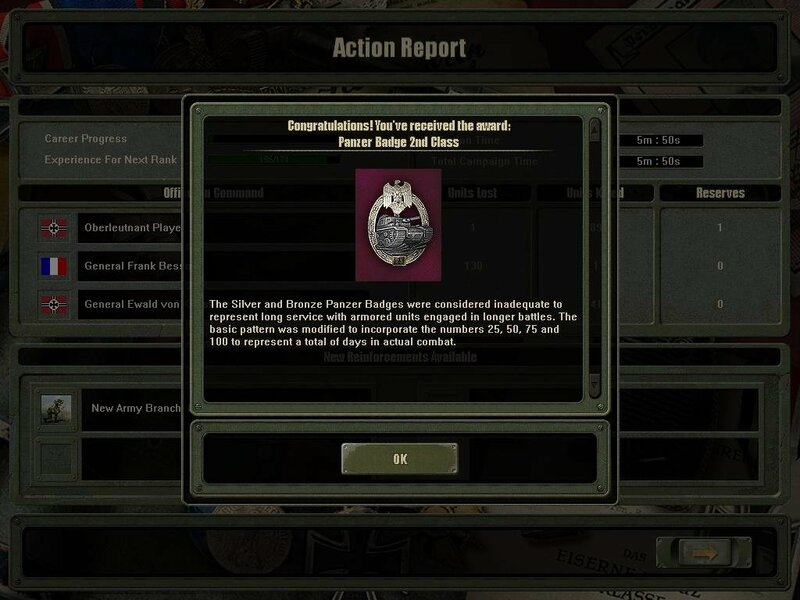 On a micro level, combat is fairly realistic. You have to worry about things such as tank armor values and gun calibers (front armor is more powerful than rear armor), the use of trenches, buildings and stationary guns by infantry, long-range artillery and tactical air deployment (recon, bombers, fighters – you know the drill). 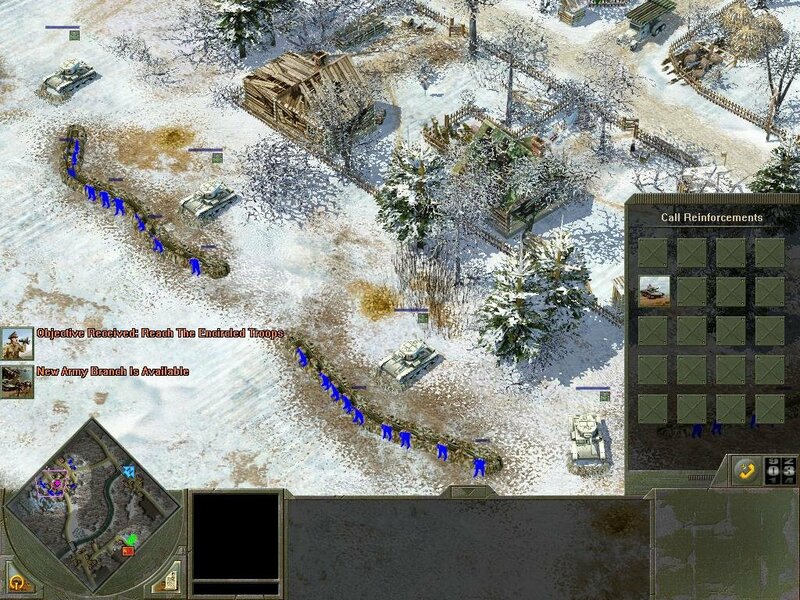 Another notable change is the ability to call in reinforcements at any time, rather than it being triggered by level scripting. 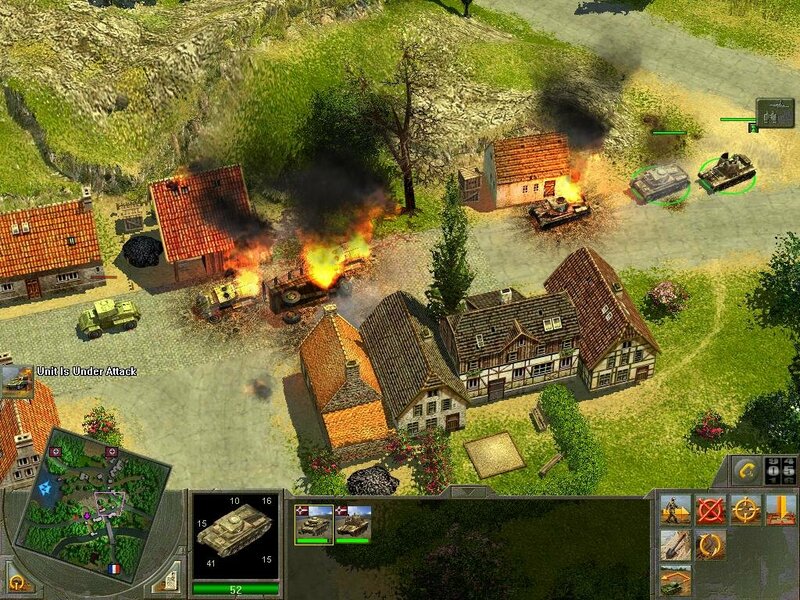 Tanks still have a decisive advantage over infantry, who lay helplessly while being machinegunned to death. 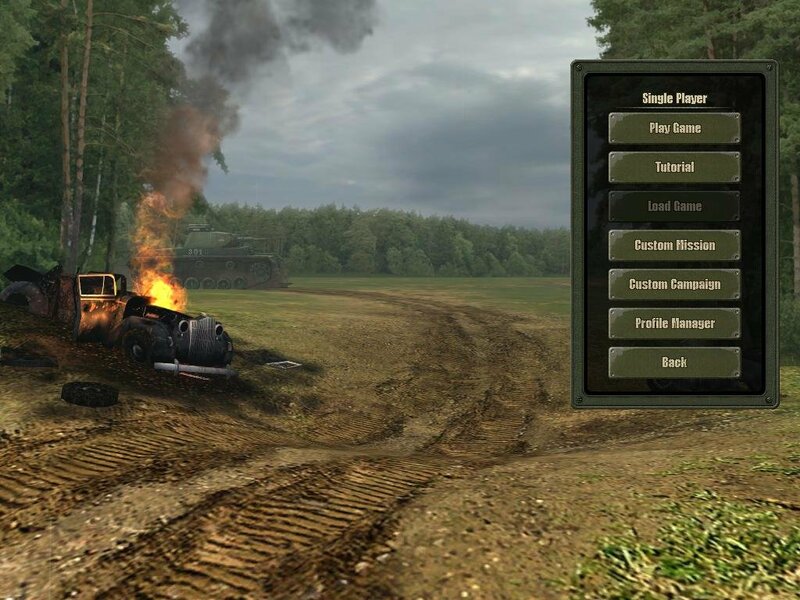 They can charge and throw grenades in the hopes of disabling the tracks of a tank, but their usage is limited overall and are almost always less useful than their heavily-armored alternatives. 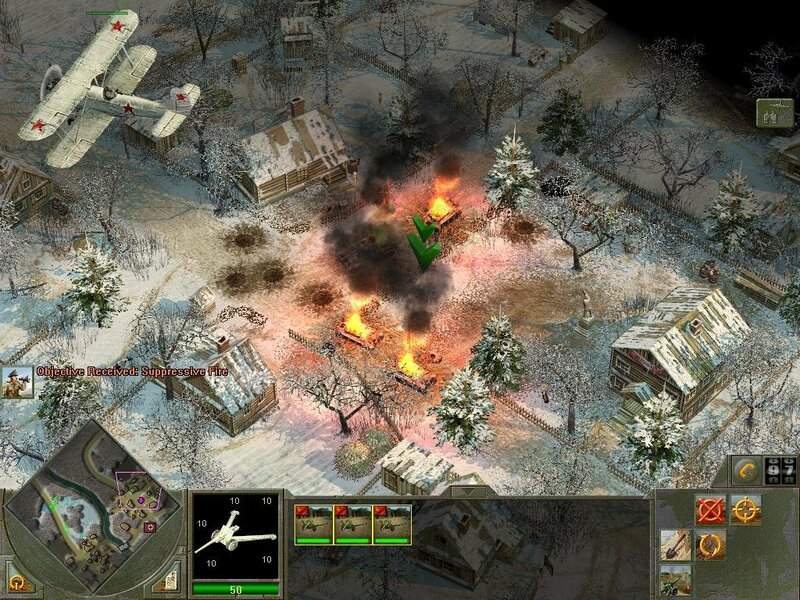 The real problem, however, is the imbalanced difficulty experienced during scenarios. 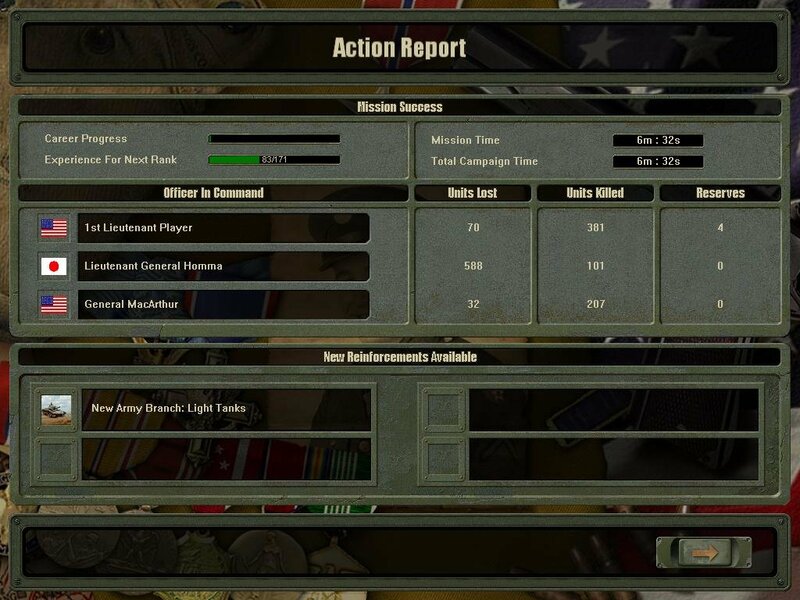 While you can pretty much steam through each mission on the lowest difficulty setting, notching it up changes the game entirely. 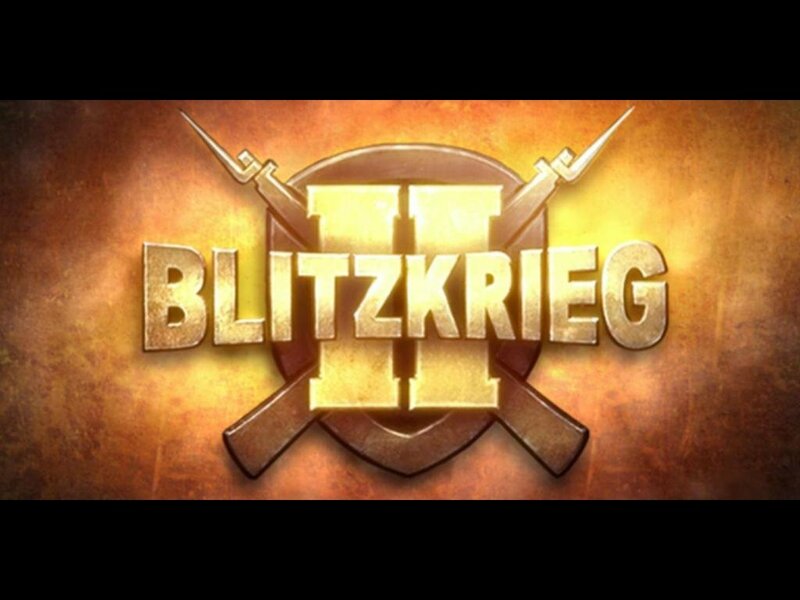 On Normal, for instance, Blitzkrieg 2 plays more like a puzzle game, setting you up against impossible odds and all but forcing you to inch forward through each encounter. 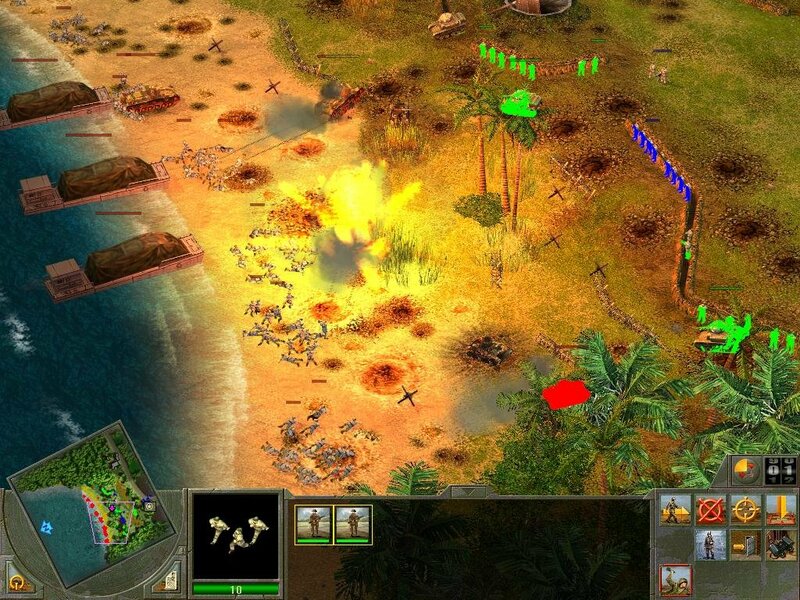 You do this by carefully using recon, artillery, aerial strikes and flanking attacks to beat the odds. 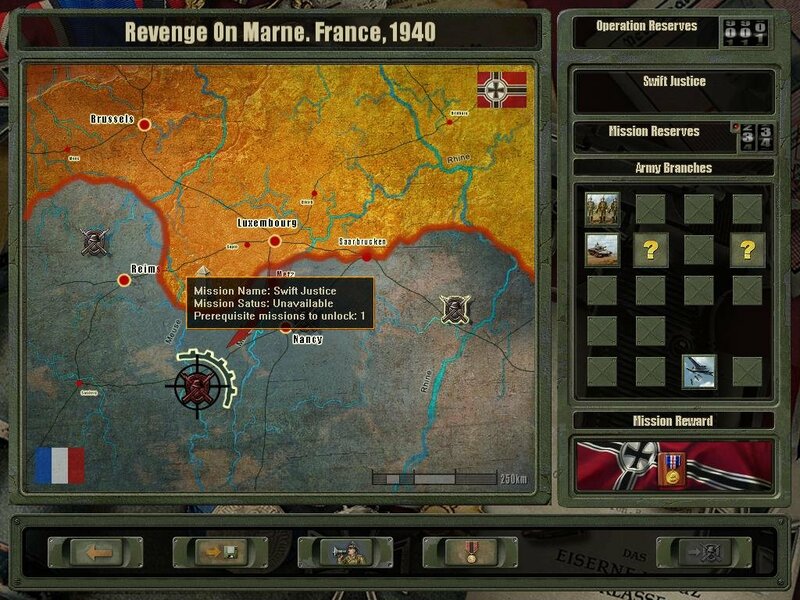 As with the first game, having unchallanged artillery means you can pretty much dominate any map without risking your own men. 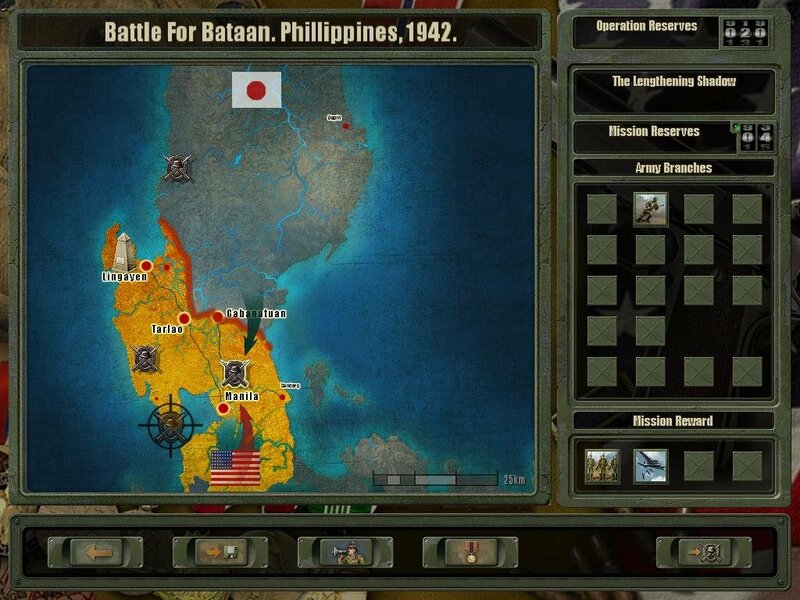 As such, victory will become a question of repetitive trial and error, patiance, and puzzle solving rather than any sort of real tactical skill. 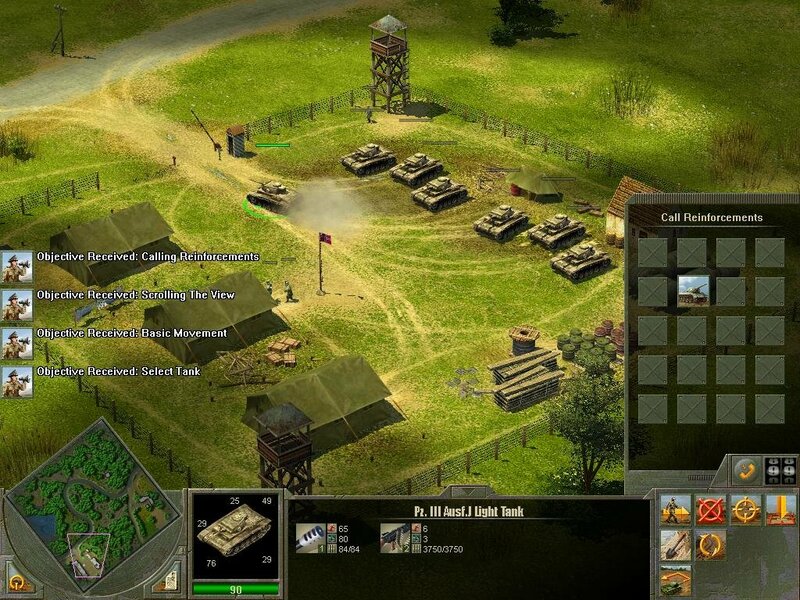 This echoes the gameplay found in the first game, which, by no means a simplistic wargame, doesn’t quite match the quality of its more advanced peers.